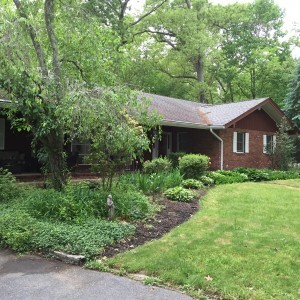 Your very own retreat available on Manaqua Road in Howell, NJ. This California Style Ranch is set on 1.75 acres of privacy and recreation. The long drive-way provides substantial set-back from the street to this 3 bedroom, 2.5 baths, 3 car garage custom built home. The formal living room includes over-sized bay window so you can enjoy the outdoors in the comfort of your home. The custom built fireplace is like no other! The open floor plan continues with the kitchen opening up to the family room complete with energy efficient solar tubes. The kitchen includes a brick built-in grill. There is a bonus room with slate flooring and lots of windows to enjoy the wildlife. The master bedroom includes two over-sized closets and private updated bath with extra large shower. For additional space, the basement has been partially finished for a bonus 1,000 sq ft of living space. There is even more storage space in the basement with custom built in shelving so you stay organized! This custom built home was designed for entertaining all year round. The in-ground pool and children’s play house add to the recreation of this private home. Walk or bike your very own trails and make it a day of fishing in your own backyard. The trails will lead you to the Manasquan Reservoir which is stocked with trout every season. You are not simply buying a home, you are investing in a lifestyle. Contact the agents at A.J. 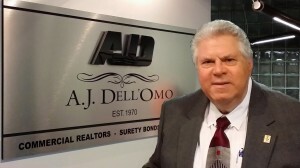 Dell’Omo inc., Realtors for details and appointments. Call 732.263.5000 and ask for Gianna or Louis Dell’Omo.